The truth is, business is not just about selling products and services, but more importantly, it’s about managing people in the most effective manner. After all, employees are the ones who will have the most influence on the quality of produce. 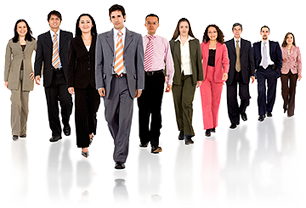 Simply put, recruiting, training, and retaining the “right” people should be the core of any business. However, these processes all entail large investment, resources, time, and infrastructure, which may not always be easily accessible to a many small and medium size company. Fortunately, HR Solutions and Resources Management Consulting services can help companies tackle the aforementioned challenges of managing talents. Furthermore, having a third party provider, as opposed to hiring in-house, can also reduce the overhead expenses. 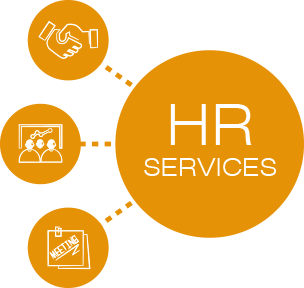 In addition, HR Management services have also streamlined their administrative tasks to the point that they have perfected the entire process. For instance, some have automated talent management process that allows companies to appraise the performance of employees and eventually decide whether salary increase and other forms of rewards are warranted.The recruitment process is another key service that allows companies find and retain great talents—usually at a fraction of the cost. While businesses can do this task on their own, it entails time, money, and resources, which could be put to a better use. To further increase human productivity and curb glitches within an organization, HR Solutions typically include leadership development and coaching, operational review, and policy development (e.g., employee handbook).And lastly, HR consultants can also perform regular on-site visits to further ensure that projects and activities related to human resources are implemented; they can also identify potential risks/problems and recommend solutions to fix them.